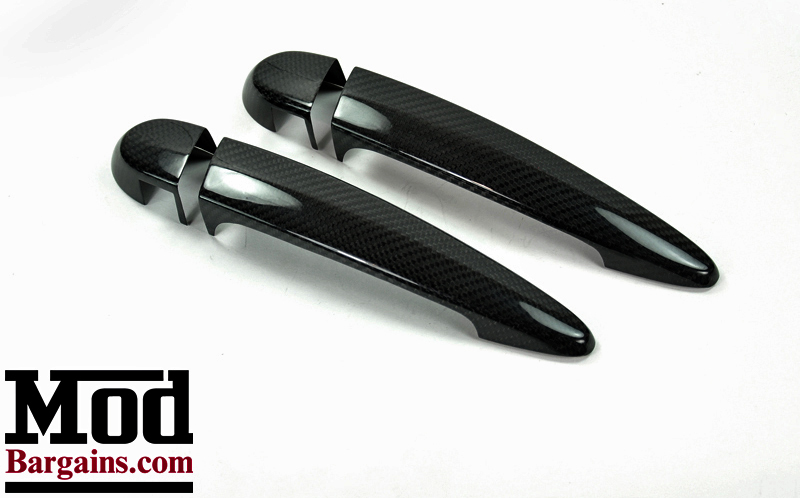 Turn Heads with these Carbon Fiber Door Handle Covers for BMWs. Precise fitment and Artistic 3K twill weave carbon fiber, Available for 2 door and 4 door applications. Do you want to stand out at your next BMW Car meet or show? 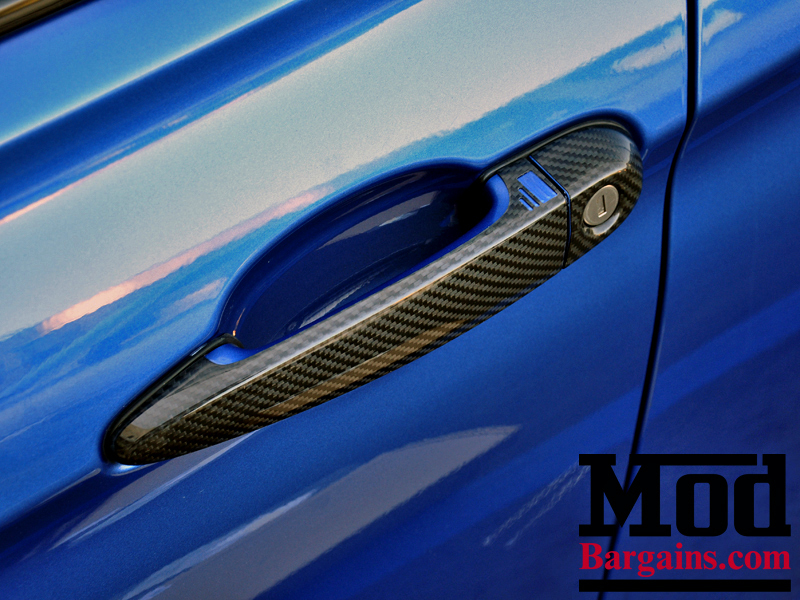 Look no further than these head-turning Carbon Fiber Door Handle Covers for BMWs, These 3k twill weave carbon fiber gives an artistic pattern and extreme attention to detail for your exterior door handles. 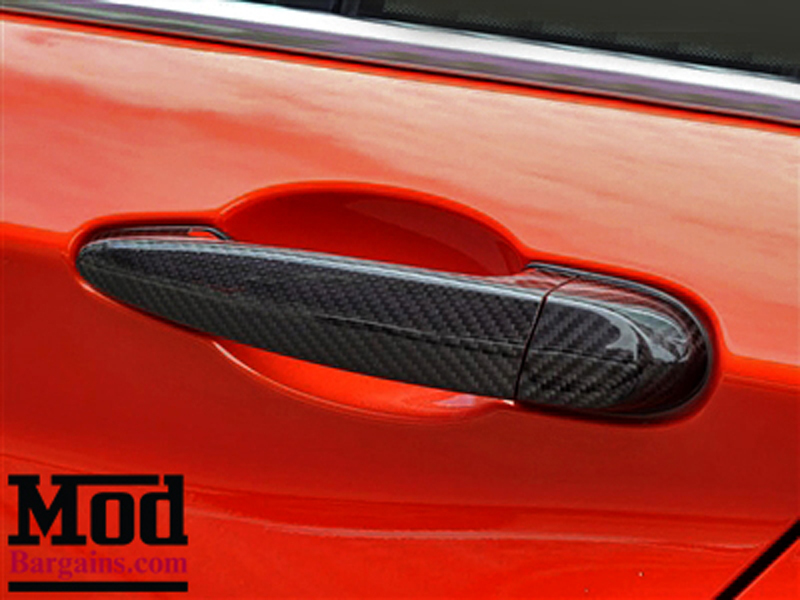 Adding this stylish performance look to your door handles with a precise fitment, quick installation, and is available in 2 door and 4 door applications. The BMW carbon fiber door handles are the perfect solution to separate your BMW from everyone else's boring daily driver. Easy installation and Precise Fitment! 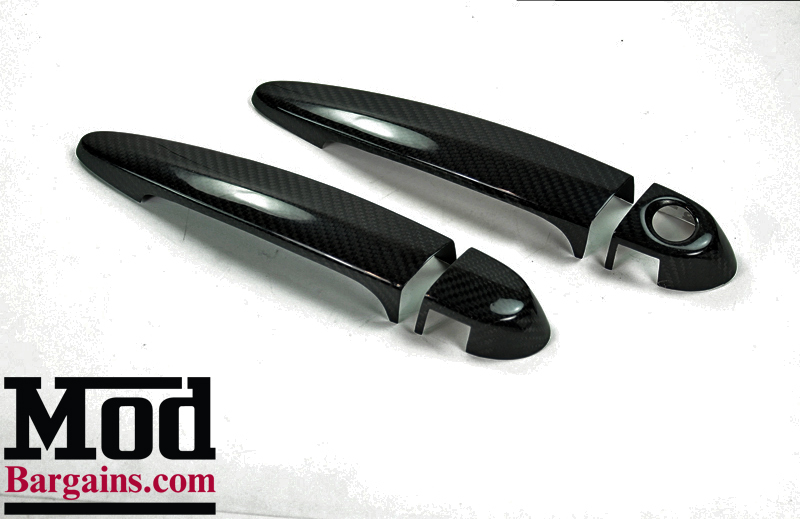 Interested in a set of Carbon Fiber Door Handle Covers for your BMW? Get yours at ModBargains.com. Call 714-582-3330 to order with our Modification Experts or Chat Online now!